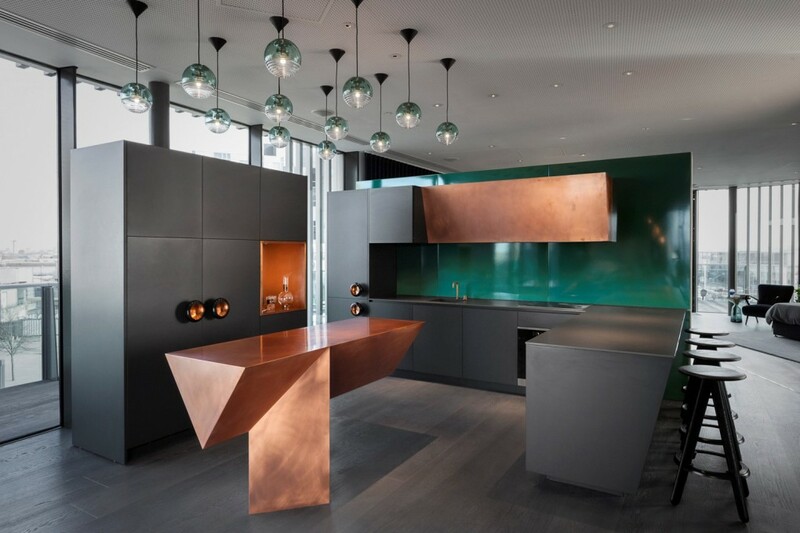 The modern kitchen is one of the most important areas to design with convenience and style in mind. With the right design, prepping food, cooking, and cleaning is easier than ever. If you are a young professional, before moving forward with your plans to design a new kitchen, there are a few tips to keep in mind. One of the most prominent staples of a modern kitchen includes sleek new cabinetry, simple counter-tops, and a layout with clean lines. 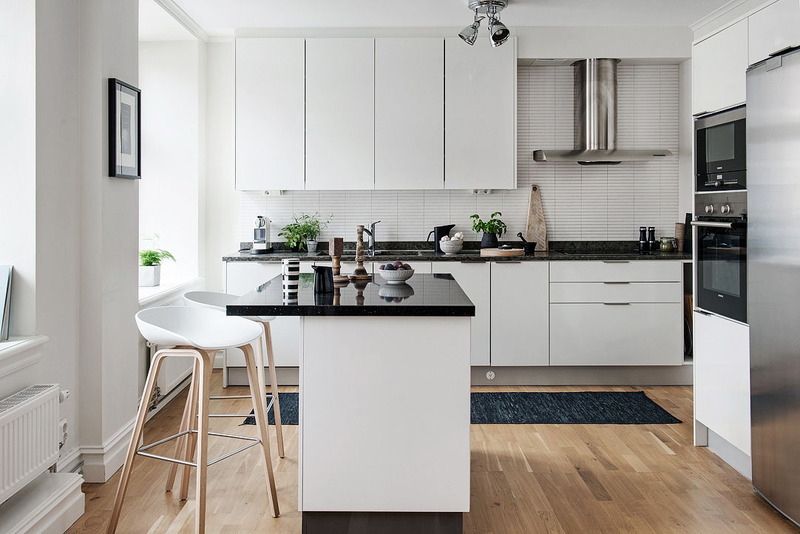 A modern kitchen designed for young people on the move often includes recessed hardware for cabinets, hidden hinges, and a minimalistic design. Minimize clutter in small spaces with modern storage spaces. Clean and crisp edges in a kitchen layout also help to present a much larger and more open space for family and guests. Most young professionals desire the greatest level of efficiency but also want to create an elegant and modern kitchen. Choose the right colors for your space for a bright modern effect. For instance, avoid dark colors in your kitchen such as red and blacks if you have a galley style kitchen. Opt for colors such as white, light grey, or pale wood colors for a more natural aesthetic that gives the appearance of more space. Select colors that are neutral yet work well with the type of decor you have in mind. They also help increase the timeless value of your home. So, for optimal results over the long-run try to avoid extremely bright colors that are more difficult to switch out. When you work with small kitchen design, your options are surprisingly numerous. With a smaller kitchen, consider vertical storage and cabinetry to maximize the area you have available. If possible, install a kitchen island with additional storage below. This is always a great option if you have space. One efficient use is that small appliances store nicely in kitchen island cabinetry which keeps them within your reach when you need them. The younger generation enjoys the use of modern kitchen smart small and large appliances. 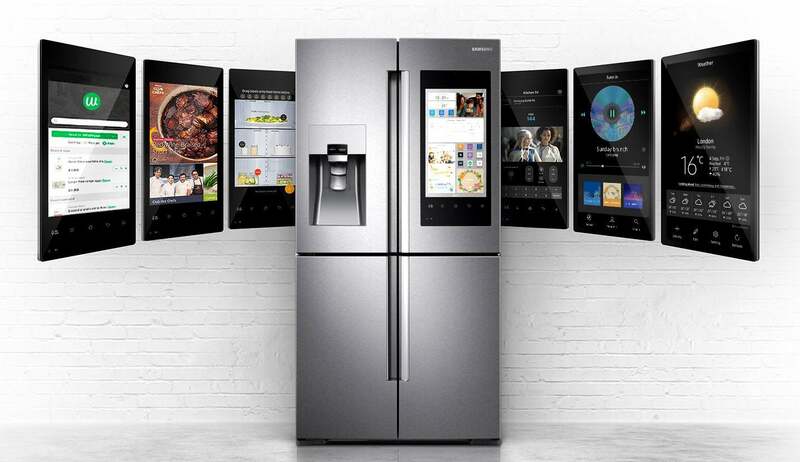 Smart appliances range from refrigerators to food processors, coffee makers to crock pots and smart microwave ovens. Moreover, there are wine chillers that look like a small cabinet, intelligent toasters that never burn a piece of bread, and the InstaPot multi cooker that combines multiple appliances into one unit. Please note that to accommodate these, kitchen designers need to design their modern kitchen to include wifi outlets, plugs, and surge protection.